Since it’s opening over a decade ago Commonwealth For The Greater Good has remained a staple in streetwear not only as a boutique but also as a brand itself. Things have changed a lot in regards to the specialty boutiques reach since 2004 when it was located on 21st in Norfolk, Virginia. Since then Commonwealth has opened up boutiques in Washington, D.C., Los Angeles, Two stores in the Philippines and their most recent move from Lynnhaven mall to town center in Virginia Beach. 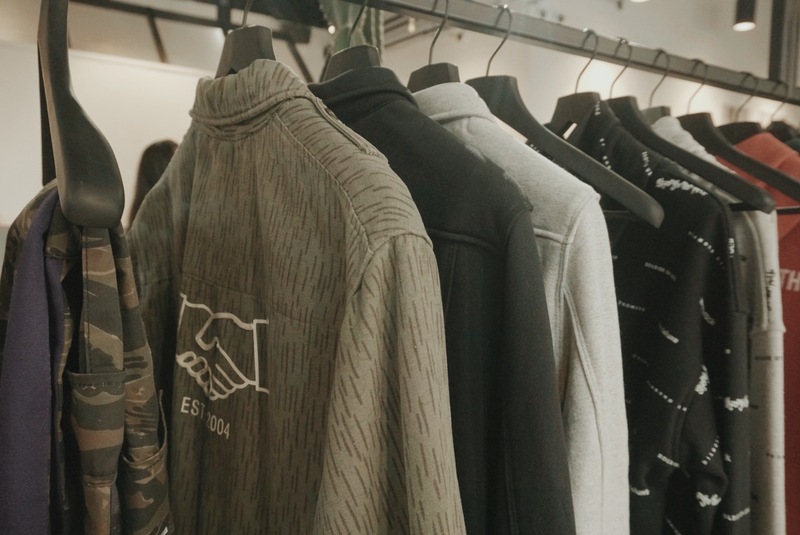 Their signature handshake logo represents them well as the environment in their brick and mortar is second to none with knowledgeable employees that compliment the aesthetically pleasing floor set up containing carefully placed garments from notable brands like Needles, Stussy, Rokit and more. The boutique also holds a one of a kind matcha bar encouraging a place where one can come with a friend to enjoy a beverage and talk culture, fashion and more. If you are in the Virginia Beach area of Virginia anytime soon Commonwealth should be a definite stop in your travels. Next Post: Kyle Korver Delivers A Thoughtful Essay On White Privilege.